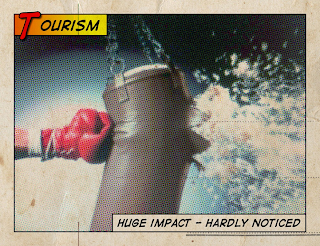 Despite the value of tourism to the economy, public funding keeps plummeting. This article looks at the argument put forward by Rob Gialloreto, the president and CEO of Tourism Victoria. The points he make are relevant wherever in the world there is a visitor economy. Travel and tourism have a dramatic economic impact in Greater Victoria. 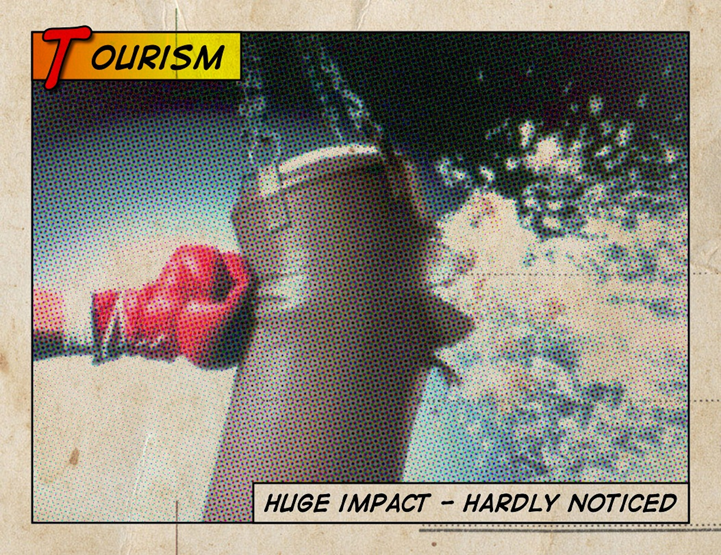 Recent research shows the impact here at $1.89 billion in 2010 - a weak tourism year. But reports like this, while valuable, don't tell the whole story. In today's tough political climate, many different sectors in B.C. continue to put forward remarkable economic impact numbers which, if ever combined, would likely triple our provincial gross domestic product - on paper, at least. Tourism is different from all of the others. It is a sector made up of sectors. "Tourism" can mean accommodation, transportation, restaurant, retail, museum, outdoor adventure, car rental, taxi, performing arts, heritage, culture, meetings, conference, sports, festivals, events, wine and beer tasting, golf, spa, and other sectors! No other industry touches so many, in so many ways. Public funding for tourism continues to plummet even though the return on investment includes things like job creation, support for small business, and stimulation of foreign spending in B.C. Tourism is an export business. Our product, the "Victoria Experience," may be intangible, but people pay real dollars for it. The only difference is that rather than exporting our product, we import our consumers. Foreign investment in Greater Victoria stimulates our economy, flows taxes to various levels of government and creates jobs. None of this is on the backs of taxpayers like you and me. Yet, like a stock no one seems to know about, many ignore the investment opportunity and treat tourism like a test we didn't study for; we cross our fingers and hope. We hope that the airport runway will be extended to bring in direct flights from the United Kingdom; we hope money and political will appear to replace the embarrassment that is the Belleville Terminal; we hope that marketing will be enough to bring visitors here despite rising ferry fares, border issues and economic hardship in the United States and Europe. Those who work in the tourism industry have never relied on hope. We work diligently through our national advocacy entity, the Tourism Industry Association of Canada, to make our border more amenable to travel while keeping it safe. We also try to find a way to reduce the massive fees on air travel that make Canada an expensive country to fly to. We partner and leverage funds to run creative campaigns in our nearby markets in B.C., Washington state, Alberta and California. Victorians might not see these campaigns, but the industry has judged them to be award-winners. We work with meeting and conference planners to convince them that Victoria is a great place to hold their gatherings. We work with travel writers, bloggers and electronic journalists to ensure we garner as much targeted coverage abroad in the media as possible. We work with tour operators and travel agents all over the world to ensure Victoria is part of their itineraries. We work with community groups to bring and nurture sports events and festivals for residents and travellers alike. Tourism Victoria has more than 800 members and there are certainly thousands of other tourismrelated professionals here as well. We together share the responsibility and the privilege of making tourism healthy for our collective future. Tourism is multi-faceted and complicated, and yet so very important to the present and future of the capital region. No one organization has the responsibility for our industry: we all do. From the person giving directions on Government Street and the server at a busy restaurant, to the taxi driver from the airport, to our elected officials, we all own a part of every tourist's experience. Tourism continues to be what it has been for years - a vital economic driver that needs support, understanding and, most importantly, action.